Comfort grip table knife is one piece of stainless steel cutlery that features handles designed for hands with limited grasping ability. The handle has a soft, rubbery, non-slip surface. The Comfort grip table knife is lightweight and contoured to not irritate pressure points. After use, the cutlery is safe for dishwasher cleaning. 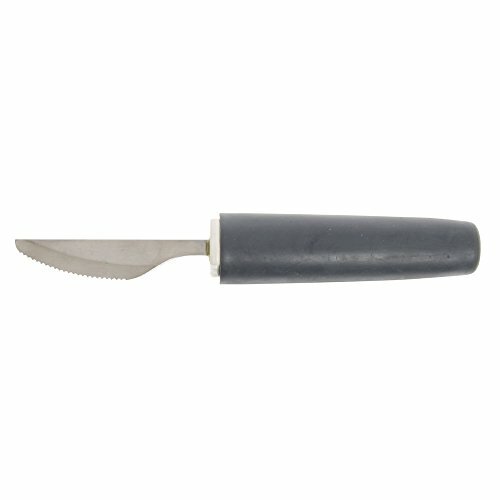 This Comfort grip table knife is from a collection of cutlery available and sold separately.